In a previous blog article, we talked about why every business or marketer should have video on their to-do list this year. Videos lead to better conversions, greater reach - especially for mobile users and Millennials - plus it boosts your brand awareness. Today, you’ll learn how to leverage some current video trends to help you break through the noise and grab your target audience’s attention. The number of businesses using video on landing pages jumped from 49% last year to 60% this year. A video on a landing page can increase conversions by 80%. 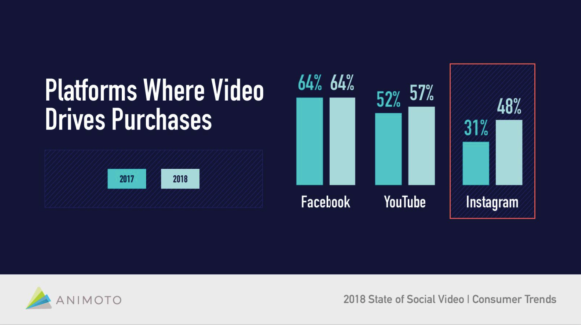 As you can see, there’s never been a better time to add video in your marketing strategy. Put yourself in your customer’s shoes for a minute. Would you rather read a very long page or watch a short video to learn about a brand, service or product? Because people have less time, more distractions and shorter attention spans, it’s no surprise video marketing is king. And when done right, you’ll see great results. So what kind of video formats might be worth investing in? Let’s find out. According to Animoto, video ads are the primary way that people discover a brand or product before making a purchase. One video trend that’s gaining steam is short brand videos of 15-second or less in order to grab a viewer’s attention. But how can you say everything about your company in just a few seconds? You don’t. You just have to craft a message that’s interesting enough to get viewers to want to know more about you. 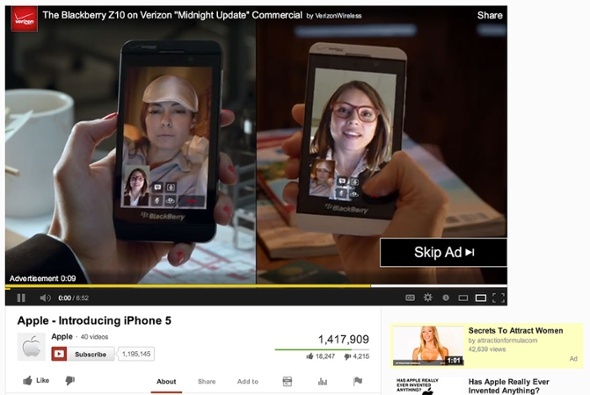 Here's an example of a video ad. Also, it’s important to note that many people browse on silent mode. So when you’re creating your video ad strategy, it should be able to connect with a viewer without sound. More and more businesses are invading Instagram. In Animoto’s 2018 survey, 48% of consumers said that they’ve bought a product after seeing the brand’s video on Instagram. That’s a 32% increase from 2017. You can start taking advantage of this popular platform by maximizing your company’s presence on it. With the right hashtag usage, your video can be discovered in the “explore” page and capture attention. And when you’re not posting videos on your feed, you can engage with prospects and customers on Instagram Stories. More entrepreneurs have been jumping into the vlogging world. Vlogging is huge on YouTube. What better way to form a greater connection with your audience than by creating tailored videos that shows your brand’s human side. For example, Gary Vaynerchuck gives valuable business advice and behind-the scenes content to his nearly two million YouTube subscribers. We understand this might not work for all niches or brands. It can be hard to get viewers to tune in to your live stream on Instagram Live, Facebook Live or other platforms, especially if you don’t have a large following or if your followers don’t engage with you as much as you would like. In either case, you should probably reevaluate your marketing efforts and come up with a solid plan to better connect with your target audience. According to a 2018 survey by the Interactive Advertising Bureau (IAB), 47% of worldwide live streaming viewers are streaming more live video now compared with a year ago. 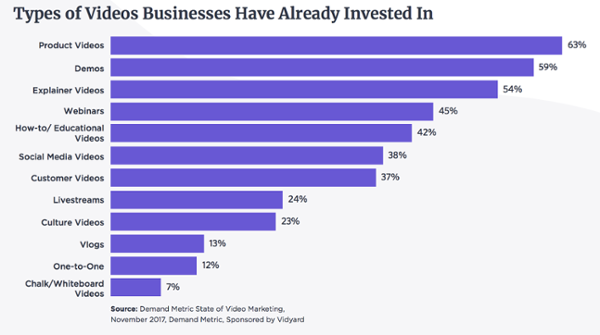 72% of businesses say video has improved their conversion rate. Here’s your chance to catch up to some of the hottest marketing video trends this year. Remember to create engaging and useful videos in order to generate interest.